ASTRONOMY IRELAND IS asking stargazers to keep their eyes peeled tonight as the best meteor shower of the year reaches its peak. According to SpaceDex the peak time to view the meteors in Ireland is between 11pm tonight and 4am tomorrow morning, while the best visibility will be in the early hours of tomorrow and Monday morning, due to less moonlight. It’s expected that the meteors (cloud permitting) should be visible at a rate of between 15 and 30 per hour. Email “Meteor shower: Astronomy Ireland wants you to be their eyes ”. 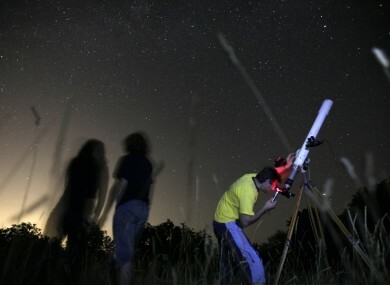 Feedback on “Meteor shower: Astronomy Ireland wants you to be their eyes ”.